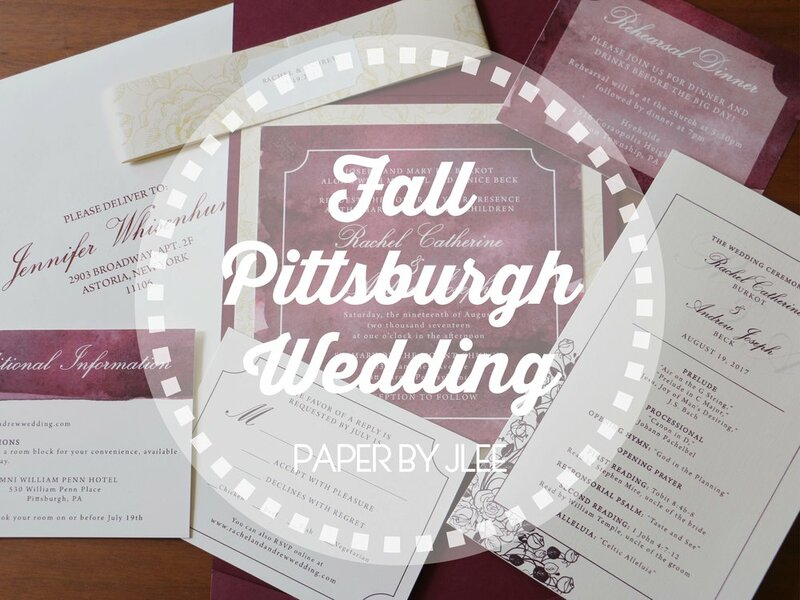 We have been busy here at Paper by JLee with loads of custom wedding invitations to design! 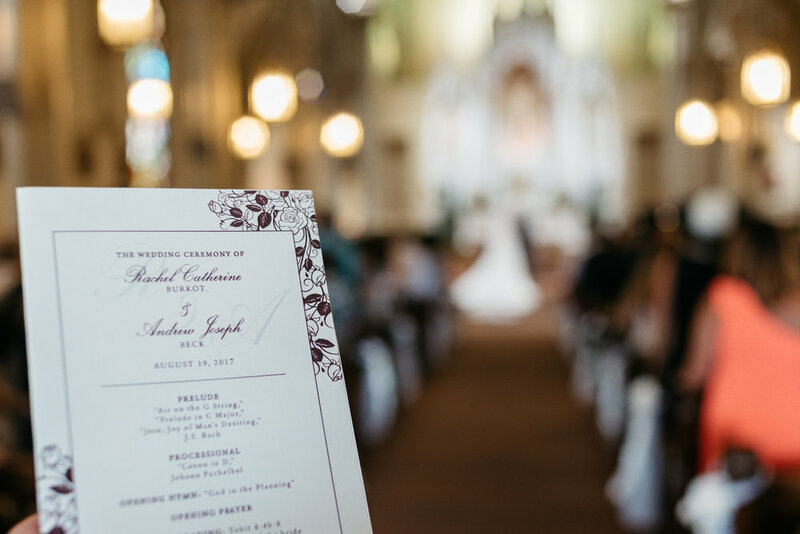 Here is one set I did for some very special friends who got married in the most gorgeous church in Pittsburgh, St. Mary of the Mount Church. 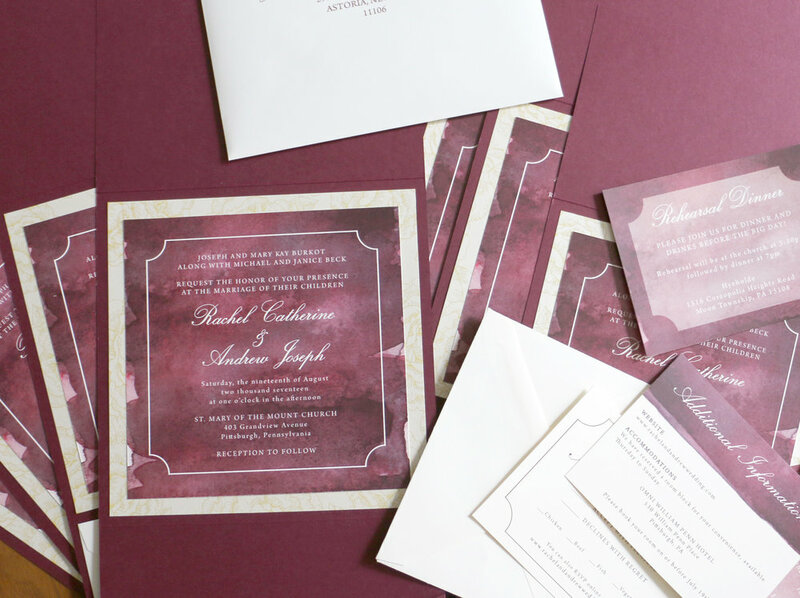 We started the design process with the wedding colors: wine and champagne (amazing, right?). 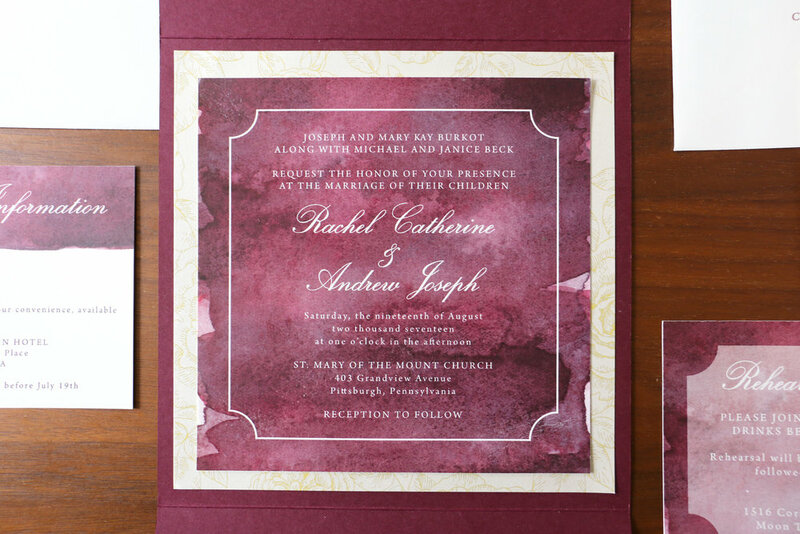 After a few rounds of edits and a visit to my favorite paper store, Paper Presentation, for some inspiration, we created the invitation suite below. The set included the invitation card, RSVP card and envelope, an additional information card plus a rehearsal dinner invitation for those in the bridal party. Since there were so many components to the invitation, we used a pocket-style invitation to hold everything together. Then, we wrapped everything with a patterned metallic belly belt to tie the whole suite together. Check out the final invitation suite below. Once we were done with the invitations, we started working on signage for the wedding ceremony and reception. 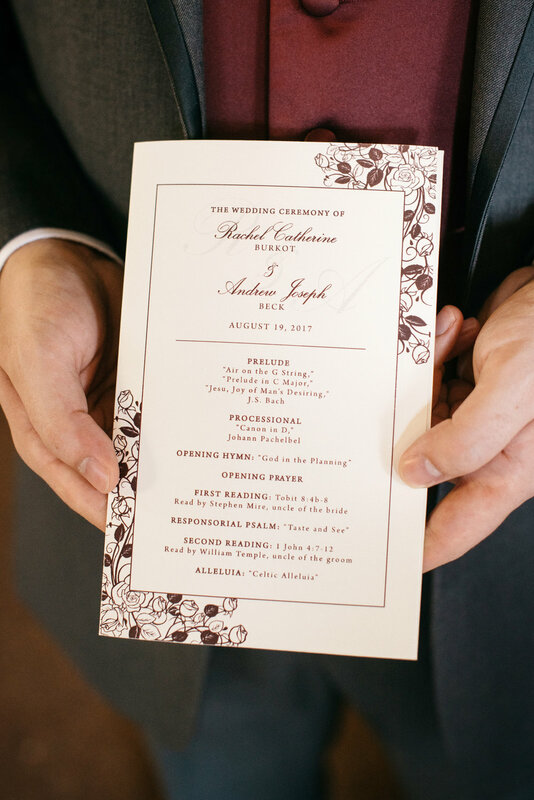 We designed the ceremony program, reception welcome sign, bar signage, table place cards and more! 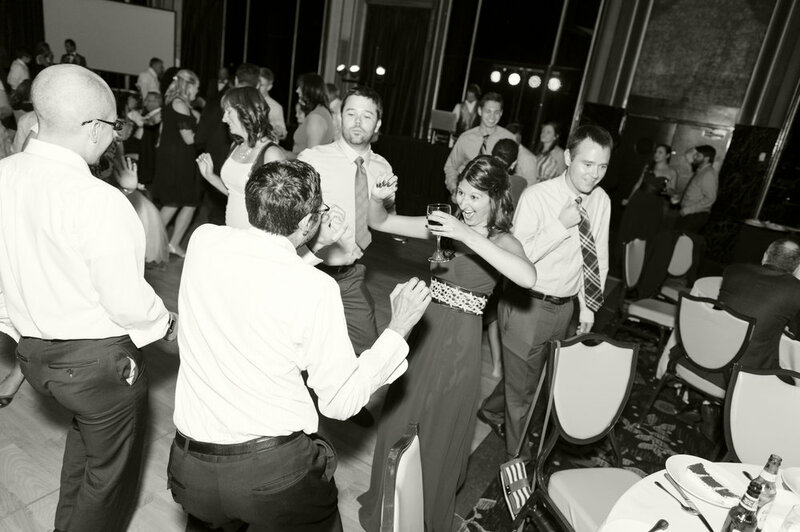 The Brand Studio graciously shared their photographs from the wedding with us. See their photos and the rest of our items below! See more of The Brand Studio's amazing photos below and on their website. Congrats Andrew and Rachel! I love you both so much and had such a great time working with you guys on this. 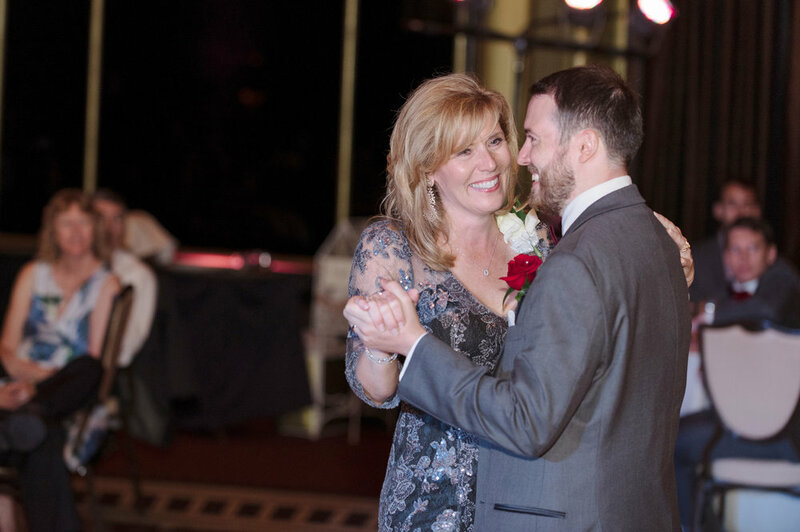 Thanks for letting me be part of your day!